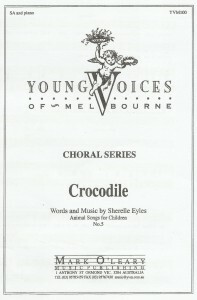 The lyrics present the crocodile as a ‘modern day dinosaur’ in a fun and entertaining way for children. This piece is suitable for Primary school age children. It is available for SA and Piano or Unison and Piano. 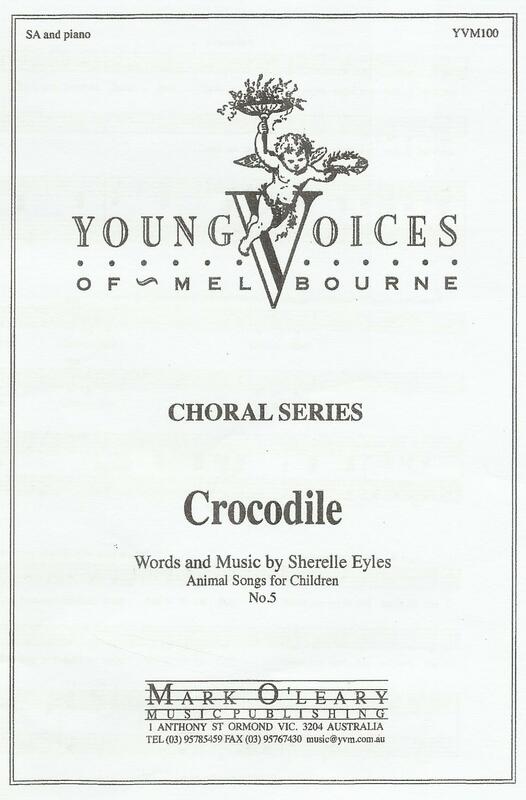 Crocodile has a jazzy, swing tune in D minor with syncopated rhythms. The words are easy to learn and memorise and it has simple, optional actions and body percussion. It teaches harmonic blending, question and answer techniques, unison singing and explores the dynamic range of the voice.